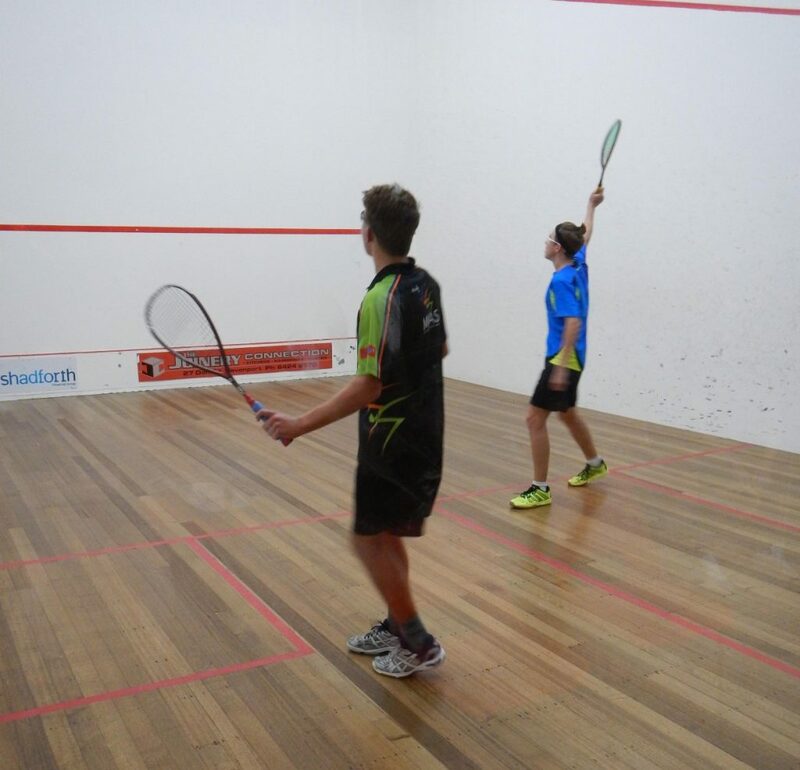 The Australian Junior Open tournament provided a strong challenge for local squash athlete Jack Osborn. Finding quality regular competition is one of the challenges Jack faces and the initial stages of a big tournament are a mental challenge as revealed by Jack “The first round I was a little bit nervous but after the first game all my nerves were gone and I started playing better squash”. After two victories Jack faced a tough opponent in the match to make the top section of the playoffs “I was playing the fast improving Abel who was also from Western Australia. The games were very close but he was just the better player on the day” said a disappointed yet gracious Jack. Jack paid due respect to himself, his coach and all the hard work by finishing the tournament in a positive way by beating fellow WA player Remi Young. Despite suffering nervous nausea before the game Jack and coach Reto decided on a strategy to utilise the drop shot that had been working well. A close first game 12-10 that removed all nerves was followed by 11-5 and 11-2 games for Jack to finish with a win and to take 7th place overall. Given the presence of overseas players, Jack’s position was 4th Australian, a pretty good result for a young man all the way from Geraldton. With a birthday coming up soon, Jack will move up to the U17 division and will spend the winter working on his fitness and refining his play to once again attack the big tourneys as they come up.